Good Morning! 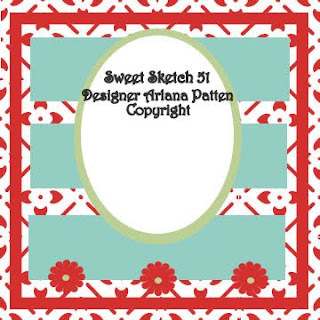 It's another Sweet Sketch Wednesday! 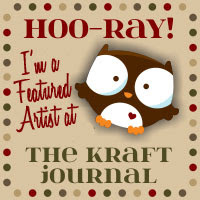 Arlana has another great sketch for us to play with this week and we have a new sponsor (new to me) this week, Roberta from Prairie Fairy Digital Stamps. 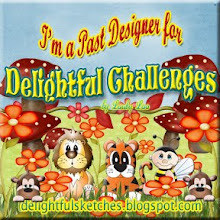 She's offering a prize of 5 single images of the winner's choice (db image counts as two). Yep! This is the same paper/color combo I used yesterday for my Tuesday Morning Sketches challenge. I don't have a lot of orange in my collection, but I'm determined to use it! I hope you enjoy my card. Thank you for stopping by! 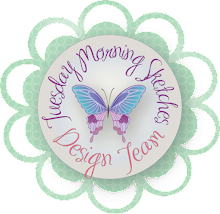 Head on over to Sweet Sketch Wednesday so you can join in the fun. 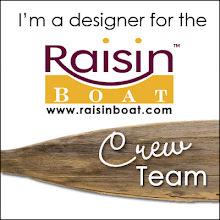 Be sure to leave lots of comment love for the design team - they are wonderful. This is the cutest, spunky little mouse image. I love the orange and lime green. Great job on the sketch! Melissa, this is so cute! I love this little mouse! 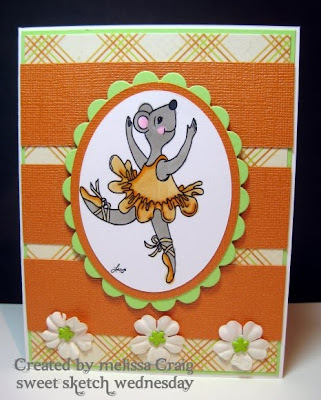 Your orange card is beautiful...seems to work well with this cute mouse image! Have a great week! Wow Melissa! It's gorgeous! Love the colours and adore the brads in the flowers. Great colouring too. Good morning Melissa! Such an adorable card this week. LOVE the orange and green together - such a striking combination. Melissa your balerina mouse turned out so cute. Love the fun colors and papers that you used. It was just perfect for your image. She looks so happy dancing around and your colors capture it all just perfectly! Love the orange! Sweet little mouse!